Captain Towing Dallas is an established towing and roadside provider with the edge in reliable customer support. We began our vision a few years ago with the intention of helping as many people as possible throughout the wonderful community of Dallas. We quickly progressed into a larger scale team, with technicians strategically placed across the city. The words “business hours” do not apply to us either. We’re available to help 24/7 and 365 days per year. It’s virtually impossible to predict when a tire can blow out, but it’s a sigh of relief to know that we’ll drop by to fix it for you in no time! Flat tires can occur because of neglected wear and tear on the threads themselves. Deep craters in the road can also cause your tires to pop. Changing the damaged tire can be a very big nuisance and dangerous at night when visibility is reduced. Just leave it to our pros. We will have the spare tire added in NASCAR-like speed! We have an enormous selection of towing dallas services to choose from. Our wide assortment of services includes; flatbed towing, motorcycle towing, emergency towing, heavy duty towing, long distance towing, wrecker towing, on/off-road winching and tow dolly services. 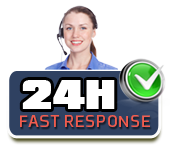 We also specialize in super fast roadside assistance with a staggering time frame of only thirty minutes. Our reputation and your safety are two things we take quite seriously here. Our customers deserve nothing but the best! The relocation process can be difficult, stressful and exciting. You’re completely swamped with a huge to-do list. Our responsibility is to pick your vehicle up on time and have it delivered as per schedule. You’ll find our direct billing payment method to be unbelievably convenient, to mention affordable. We are highly regarded towing providers in the industry. You’ll never have to play the guessing game when it comes to price either. We’ll have a fair quote written up for in a matter of minutes by phone. We are always kept busy here, thanks in part to our committed crew of experts. We’ll calculate the distance to give you a terrific price rate. We’ll give you a personalized and detailed plan that will also suit your budget requirements. We’re no strangers to social media either. Visit our Facebook fan page and follow us on Twitter to stay up-to-date on discounts and company news. Come see for yourself why we’re the talk of Dallas! Give us a buzz today.